PEORIA – Governor Bruce Rauner has once again called for a special session of the Illinois General Assembly. 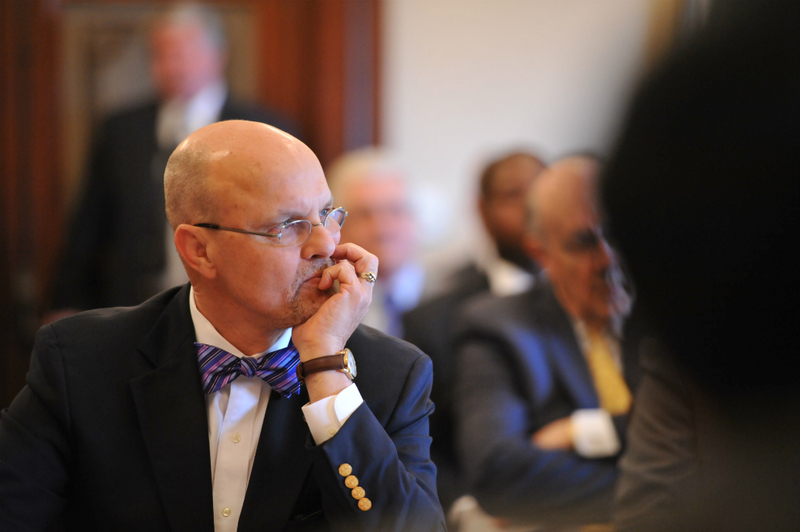 The governor has said he will veto a school funding reform measure supported by over one hundred school superintendents and dozens of school districts. “Governor Rauner has demonstrated once again that he favors campaigning over governing. Rather than focusing on how he could work constructively with the General Assembly, he calls Blagojevich-style special sessions that only waste taxpayers’ dollars. Now that we have a budget for the first time in over two years, it is important to me that you truly understand how this budget came together and what is included. To start off, it is important to keep in mind that without this budget, the State was spending at the same level we were spending at when we had a 5% income tax. We have not had a 5% income tax since January 2015, when it dropped back down to 3.75%. So, without this budget, because of court-ordered spending, Illinois would have been spending roughly $39 billion while only taking in approximately $32 billion. Nobody wants their taxes raised, including myself. Before we considered any new revenues, we worked on cutting state spending. In the end, we cut almost $3 billion in state spending. It was only after we cut what amounts to almost 10% of spending that we looked at new revenues. Many of those spending cuts were cuts that our Republican colleagues requested. Despite that, this budget, in many ways, was the budget the Republicans wanted. Unfortunately, the governor still told them not to vote for it. Under the new budget, the income tax will increase from 3.75% to 4.95%. When the governor took office, he asked the General Assembly to allow the tax hike passed under Pat Quinn to go down from 5% to 3.75%. Since he has taken office, the governor has never proposed a truly balanced budget that makes up for the lost revenue. 4.95% is the figure Governor Rauner and the Republicans wanted. Our budget even spends less than the unbalanced budget the governor proposed in February. When he proposed that budget, he endorsed the Senate's efforts in passing the "Grand Bargain" which relied on new revenues to balance the budget. The governor has also stated that he did not sign the budget because we did not pass any reforms. We enacted pension reforms that governor asked for that will save the taxpayers' money. We passed school funding reforms which will guarantee that all public school students go to a school that is fairly funded. We passed procurement reforms that will cut red tape and save the state money. We passed local government consolidation reforms that will make it easier to decrease the number of local governments. In addition to these reforms, both the Speaker and the President of the Senate have agreed to continue working on additional reforms to continue to move Illinois forward. Additionally, we increased funding for K-12 schools and fully funding colleges like Illinois Central College and Spoon River Community College. We fund critical human and social services like domestic violence shelters. We balance the budget and provide financial stability so we can begin rebuilding our state's credit rating which will also save us money. I understand that most people will be upset that their taxes were increased. However, the alternative of not having a budget was simply not an option. Our state's finances could have been permanently damaged and taxpayers would have been on the hook for even more in the future. Our universities could have lost accreditation and been forced to close and many public schools could have not opened in the fall. We finally have a budget, but we must continue working to pass reforms that will make the state competitive without hurting workers. I stand firm in my commitment to work with my Republican colleagues to move in Illinois forward and make sure we never go through this again. “Today’s vote in Springfield was one of the most important votes I’ve ever taken. This budget impasse has made far too many of my fellow Illinois residents suffer. Now that we have a comprehensive balanced budget, we can begin to put the pieces of our state back together. 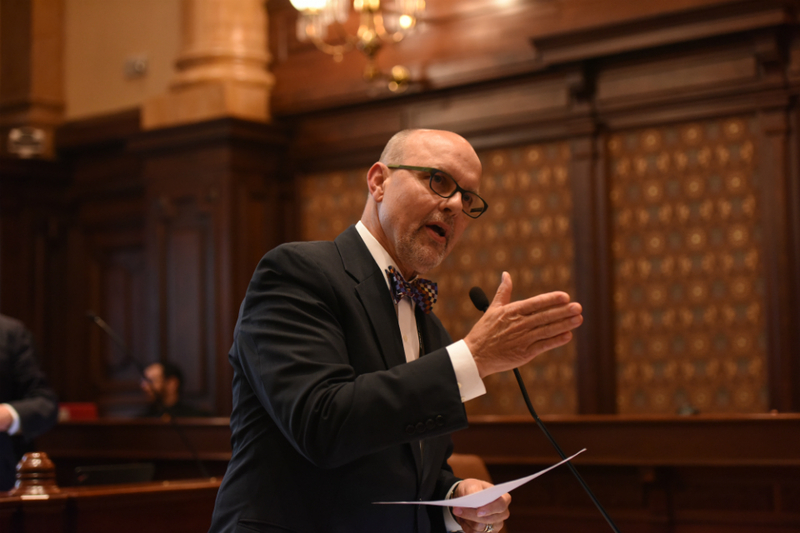 SPRINGFIELD – Dozens of road projects that run out of funding on July 1 would be funded by a budget already passed by the Illinois Senate, according to one state senator. Last week, the Illinois Department of Transportation warned contractors that without a budget in place, they would no longer be paid. IDOT estimates that the work stoppage would put more than 25,000 people out of work statewide. 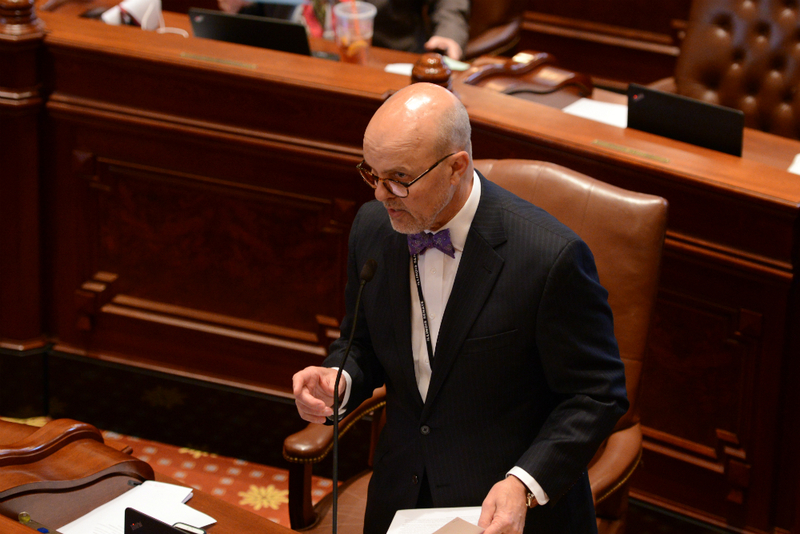 State Senator Dave Koehler (D-Peoria) says that a plan passed by the Senate would fund IDOT’s capital budget, preventing the almost 700 projects valued at $2.3 billion from shutting down. In the Peoria area, road work on Illinois 116 east of Hanna City and on the Shade-Lohman Bridge (Interstate 474) would be among those shut down, delaying the completion of the projects and adding to the costs. Just outside Lake Camelot, work replacing the unsafe Lancaster Bridge over Lamarsh Creek would cease. The bridge, which has almost 4,000 cars cross it every day, has been closed since May 2016 after Peoria County engineers declared it was unsafe. That project is 80 percent funded by IDOT. According to the Peoria County Highway Department, contractors would not be paid for work after June 30 because of the budget impasse. Without the bridge completed, the 600-house Lake Camelot community must take a detour that adds 20 minutes and more than 12 miles to any trips they make to nearby Bartonville. It is estimated that more than 1,200 workers would be out of a job if the active projects were closed, hurting the local economy. Under the Senate’s budget, funding would also be allocated for projects that IDOT has requested funding for the next fiscal year. Those projects are valued at $38.65 million in the Peoria area alone. This comes as the General Assembly returns to Springfield tomorrow for a special session called by the governor. Rauner had counted on the Senate passing a bipartisan package of reforms along with a budget to fill the nearly $5 billion deficit he proposed. When the package of reforms appeared to be nearly complete, the governor intervened and forced Republican senators to vote against the legislation they negotiated.